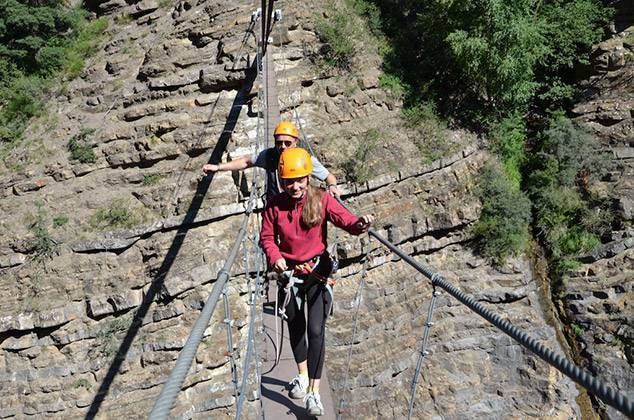 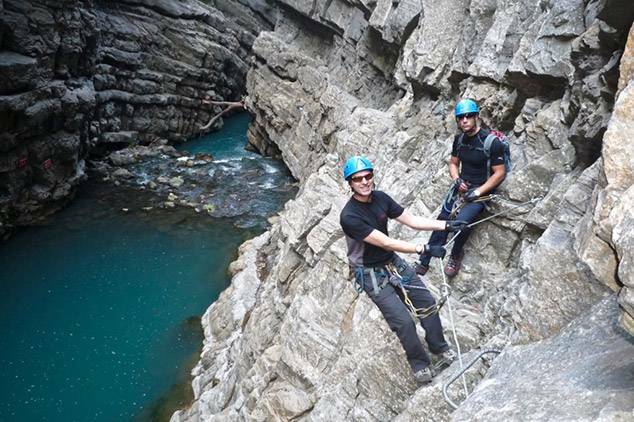 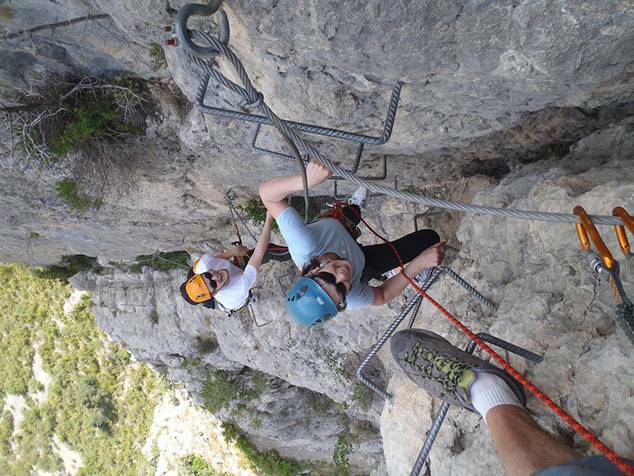 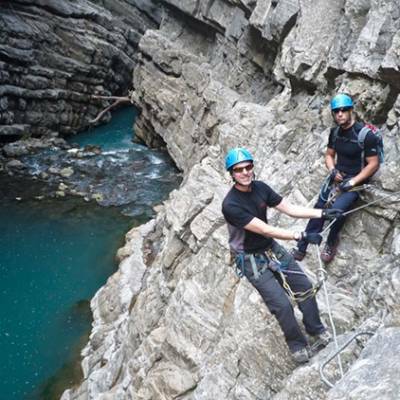 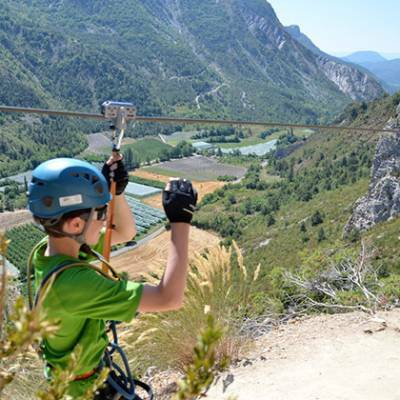 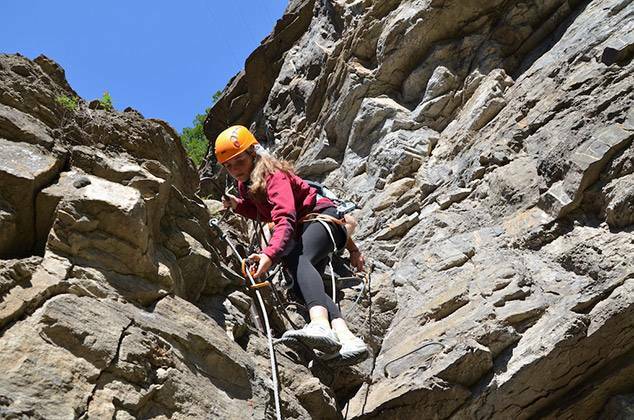 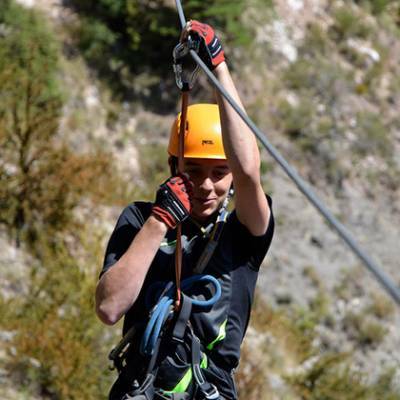 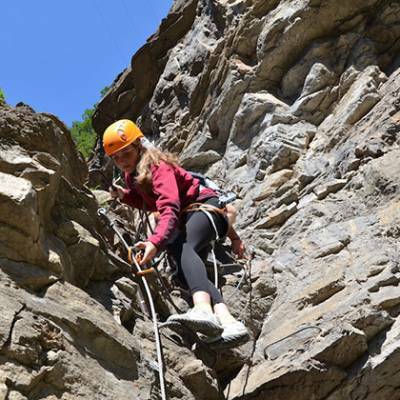 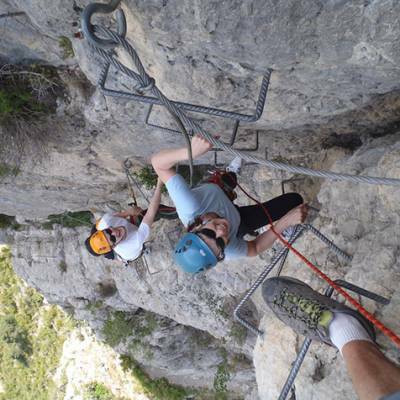 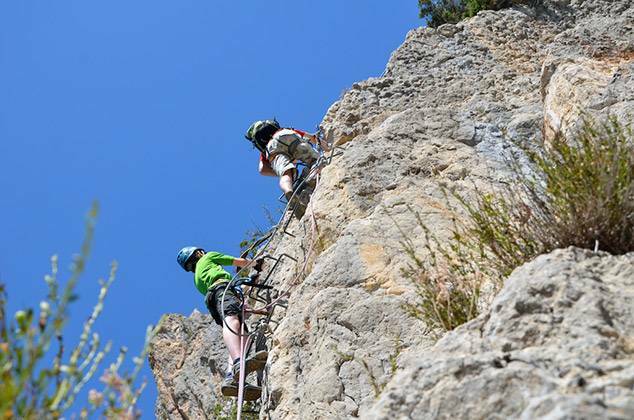 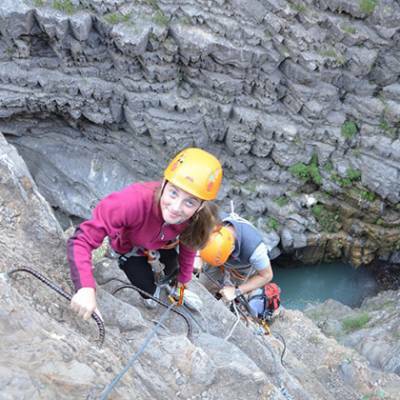 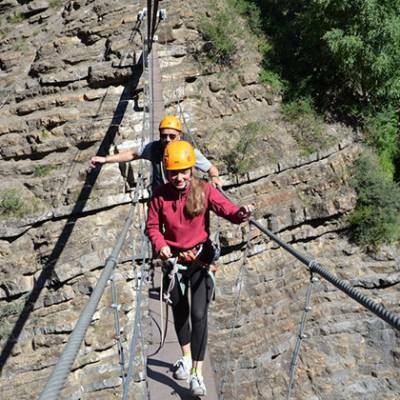 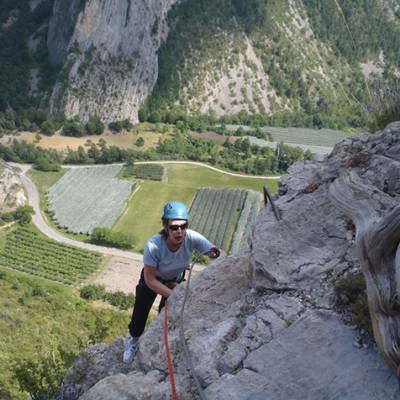 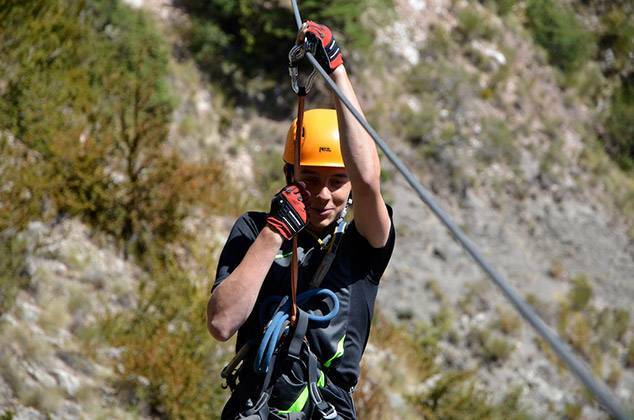 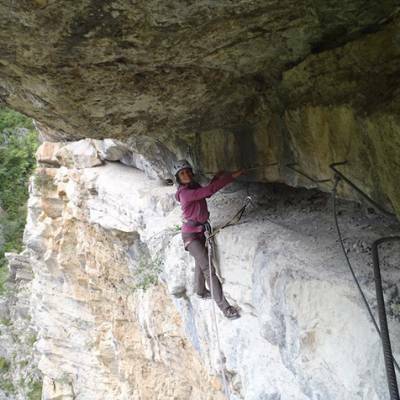 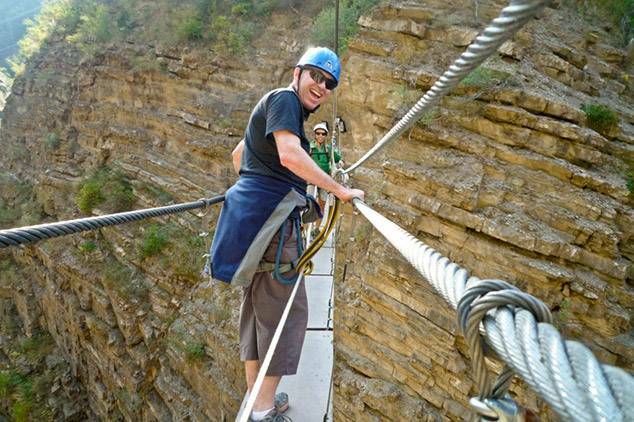 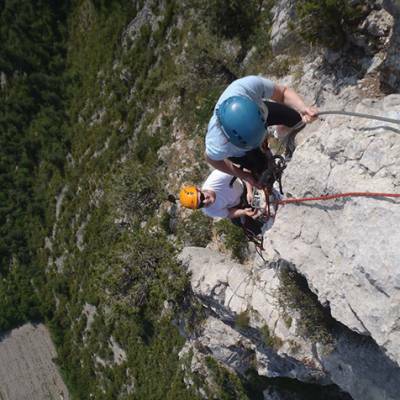 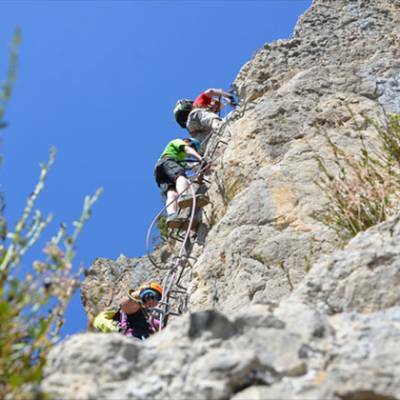 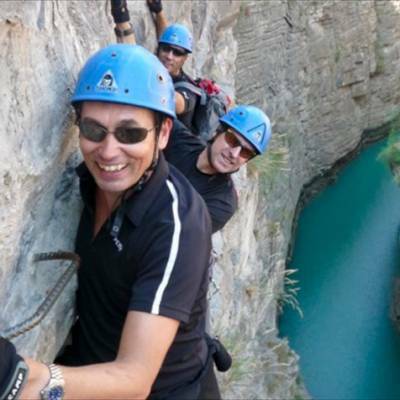 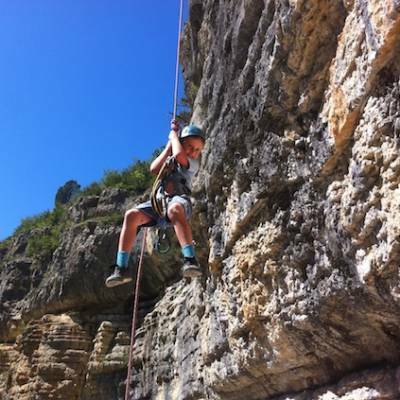 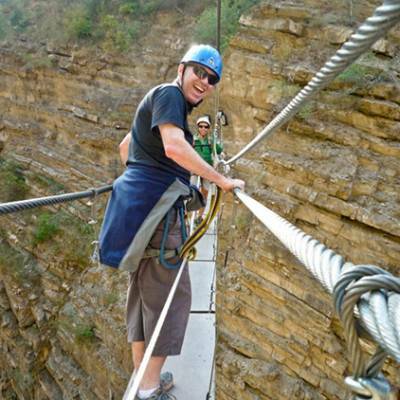 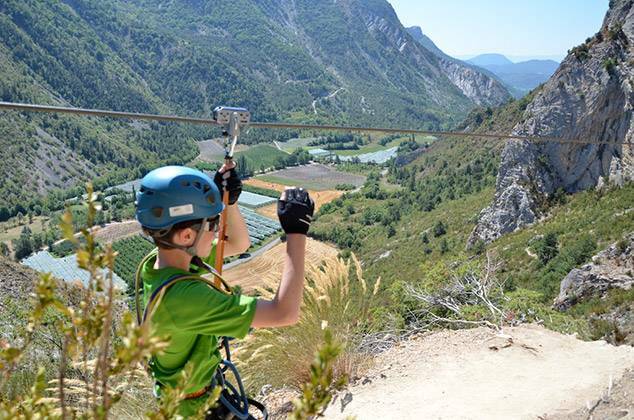 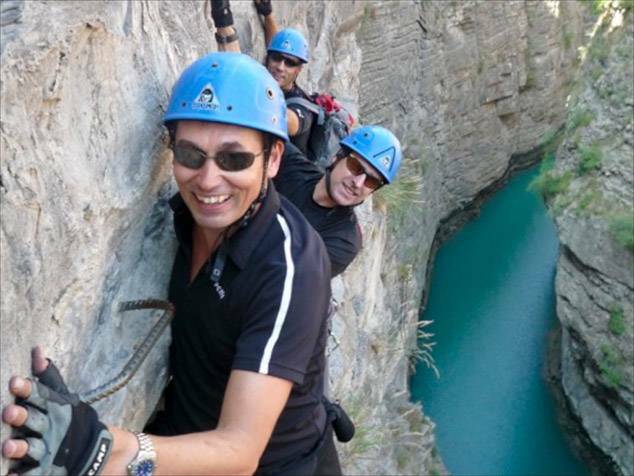 With Italy as their immediate neighbour, the French were very quick to grasp on to the idea of via ferrata, and France has become a top via ferrata destination with via ferrata courses dotted all over, especially in the Alps. 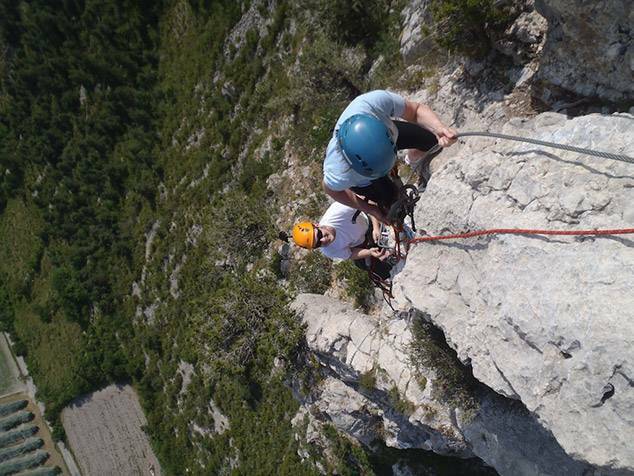 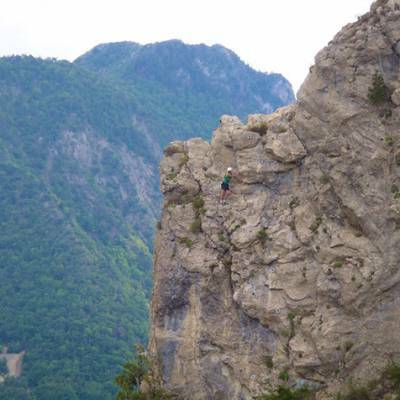 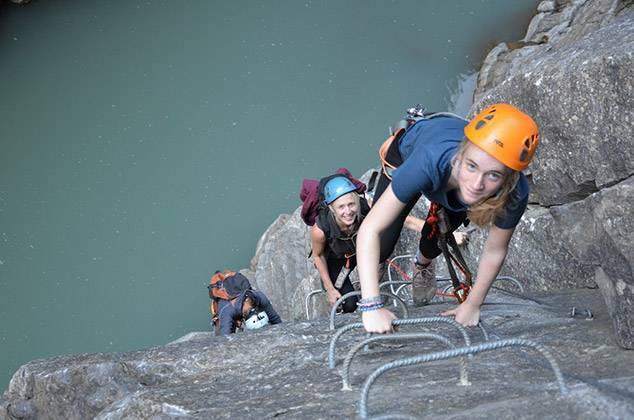 The first via ferrata in France was built in Argentière in the Southern French Alps. 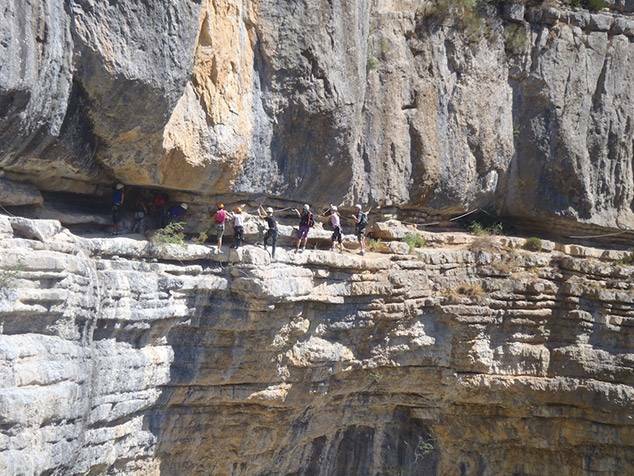 Today, there are literally hundreds of them! 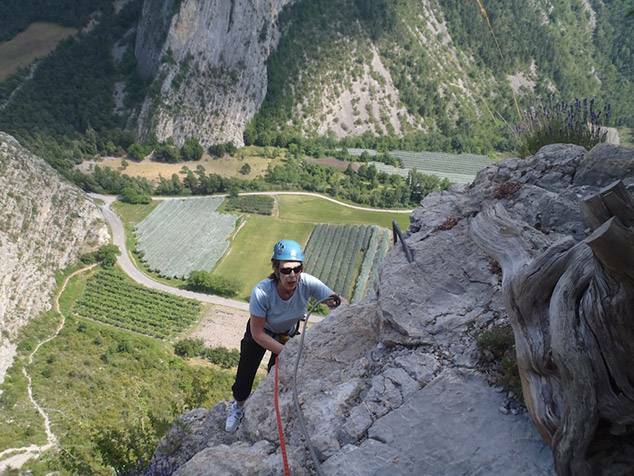 In the Southern French Alps, there are a few remarkable ones, including one of the most spectacular sites in France where we take most of our clients. 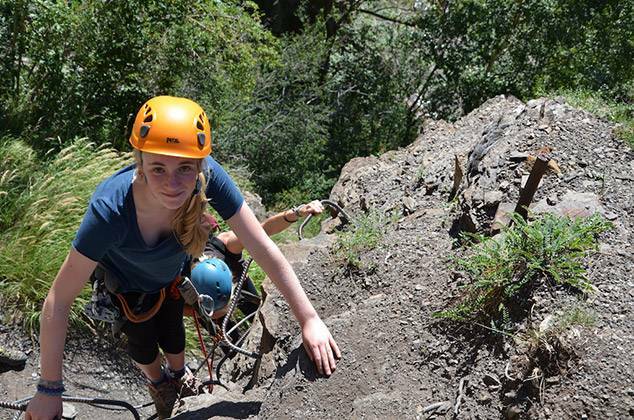 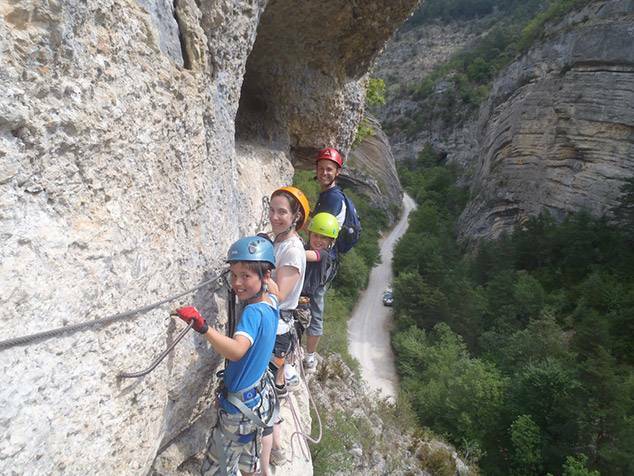 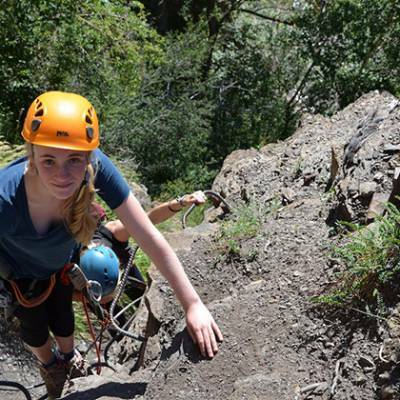 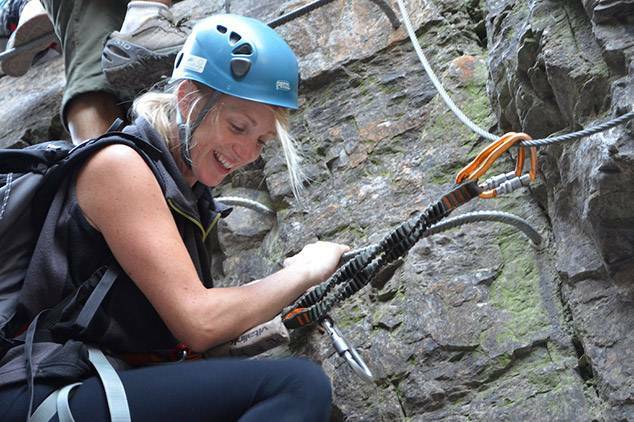 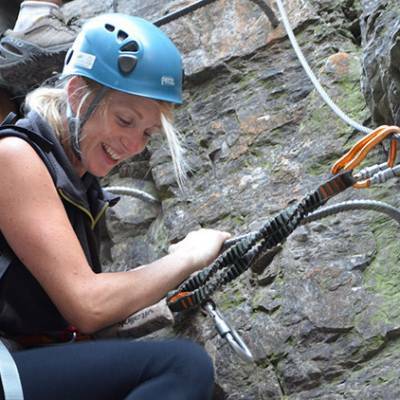 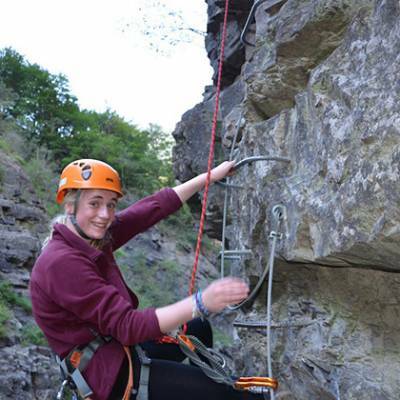 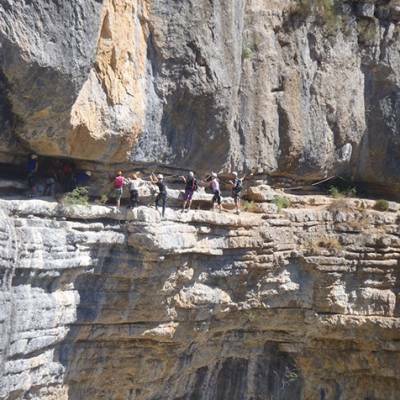 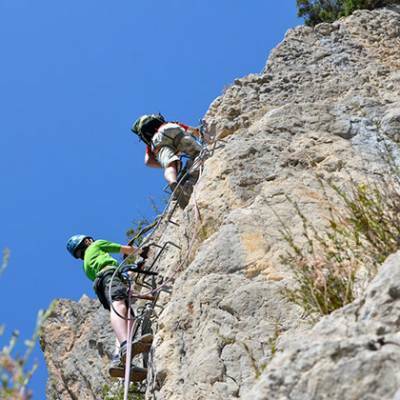 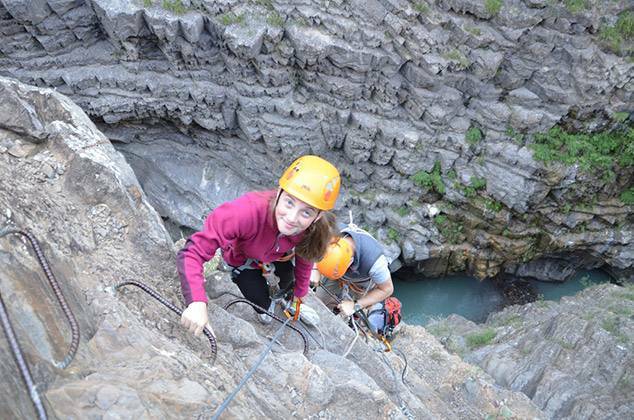 For young children, there is an excellent via ferrata built especially for small people! 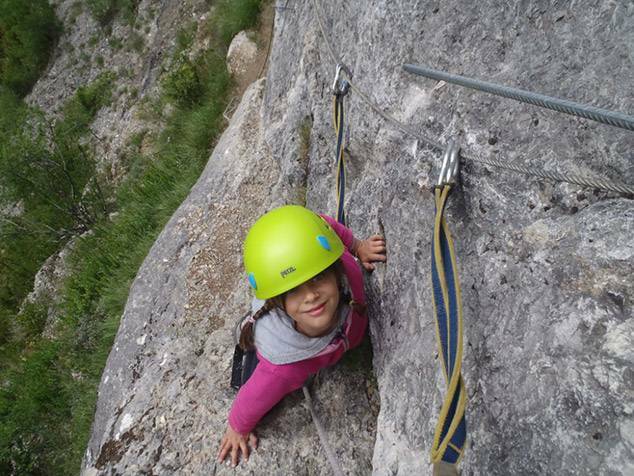 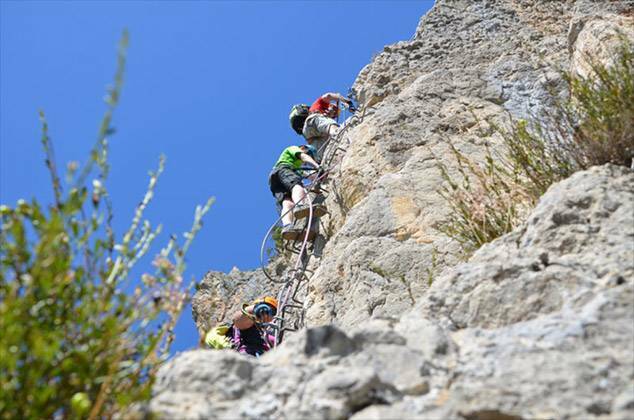 The kiddie via ferrata is suitable for children from 7 years of age with holds at lower levels than adult via ferratas. 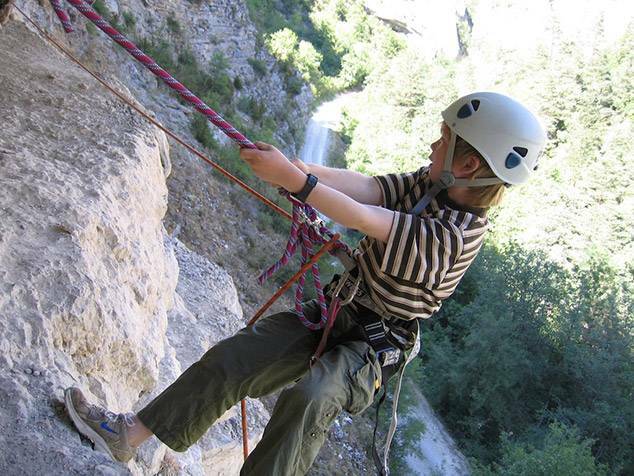 Beware though, just because it is fine for 7 year olds does not mean it is easy for adults! 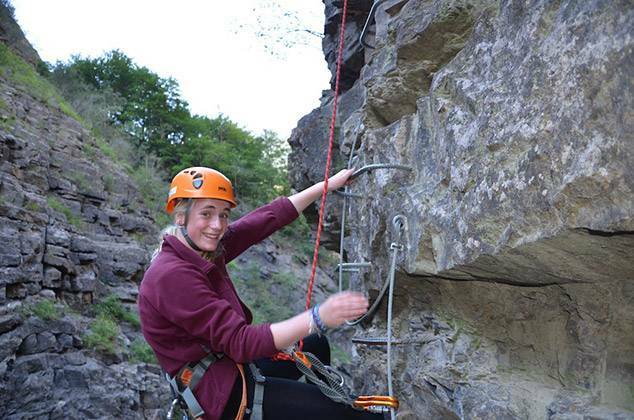 You still need a head for heights and the holds are not necessarily in the best place for big people. 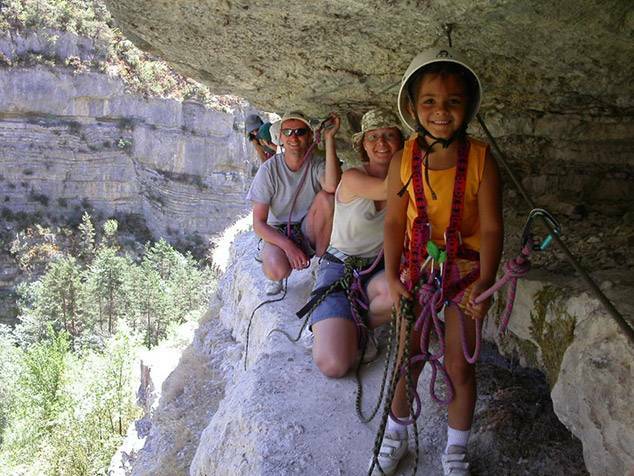 This makes it a great activity to do all together as a family. 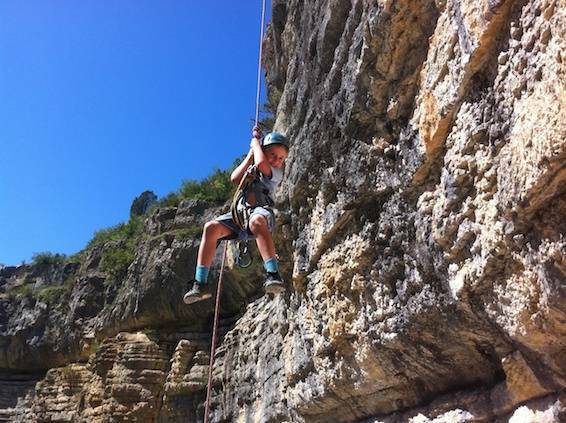 Parents, you will just have to keep a brave face for your children! 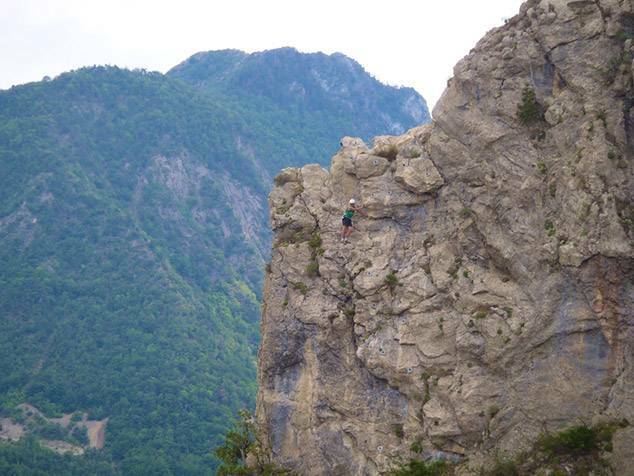 The Southern French Alps boasts one of the best via ferratas in the country. 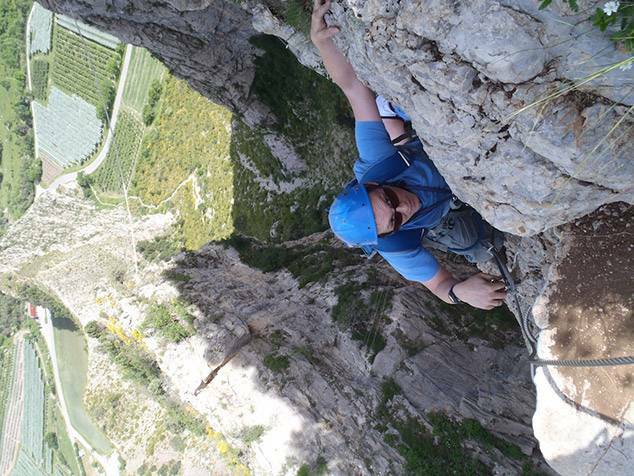 It is built on a magnificent triangular pointy mountain and has different levels, getting harder as you go round. 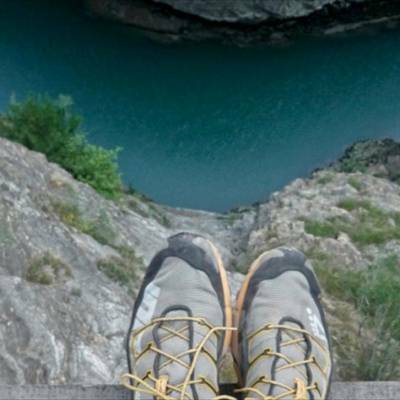 This makes it easy to break off, if the going gets tough. 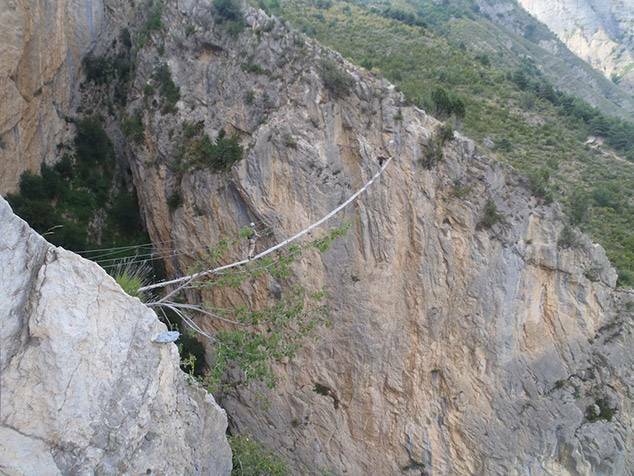 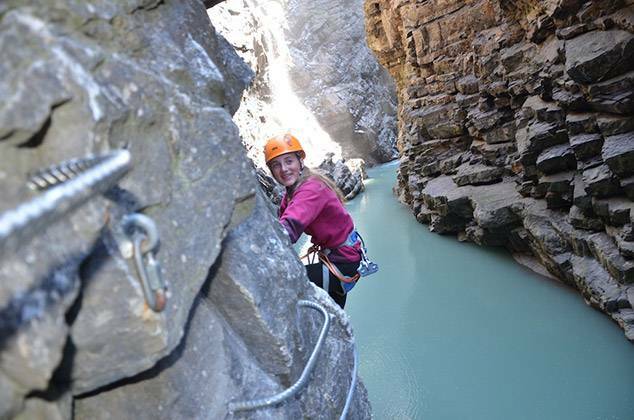 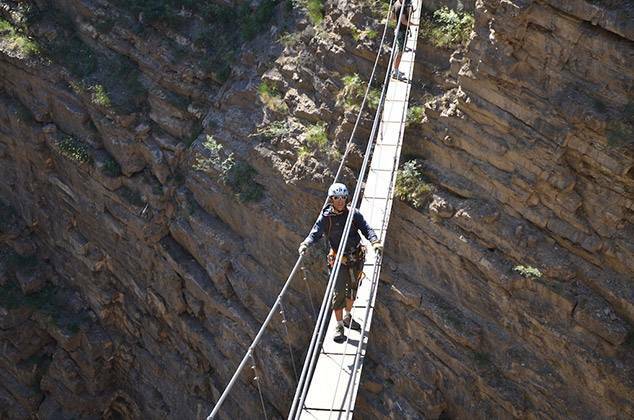 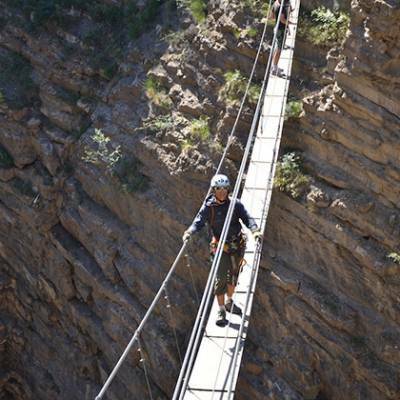 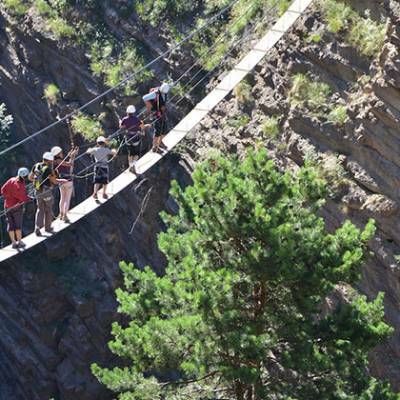 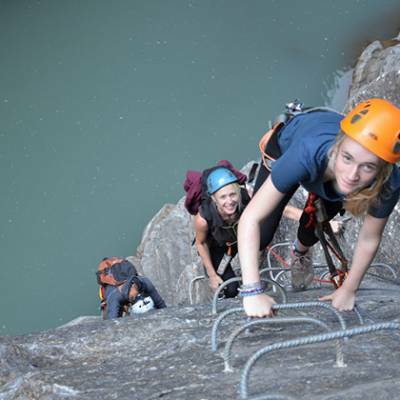 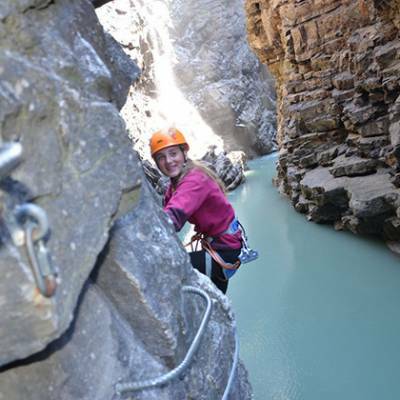 The highlights of this via ferrata are the giant Tyrolean zip lines to get back down. 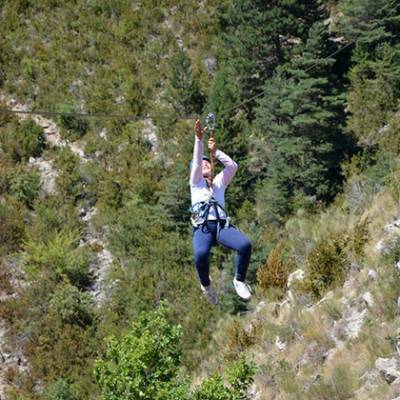 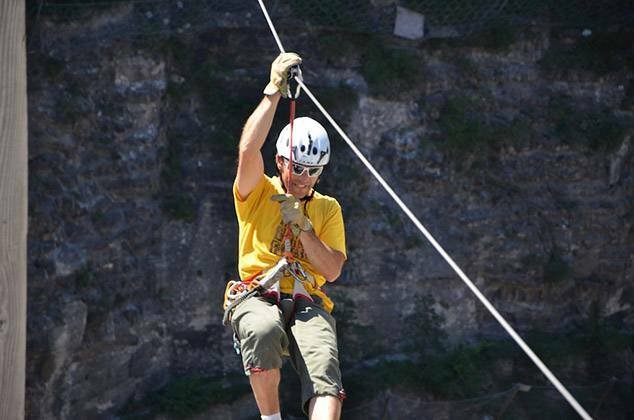 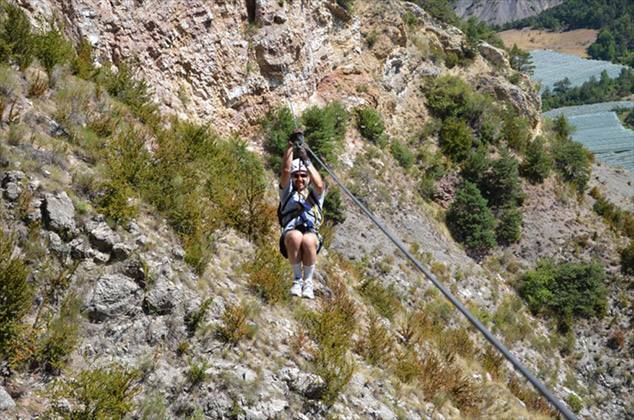 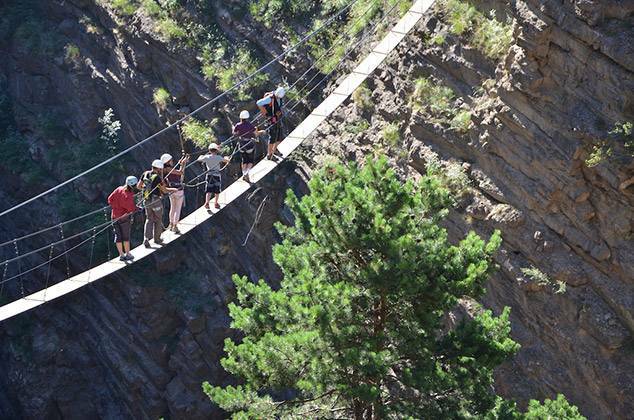 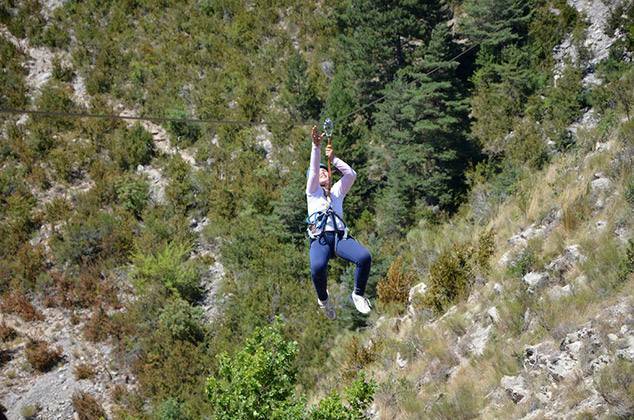 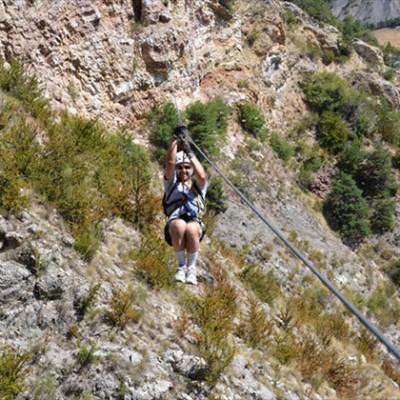 Voted better than the the giant zip line in Orcières by clients for thrills, the longest of these Tyroleans is 220m. 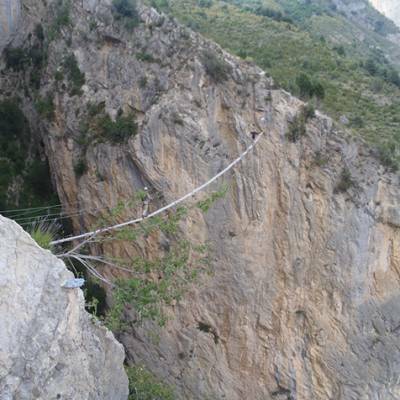 There is also a wire bridge that is a great test of the nerves! 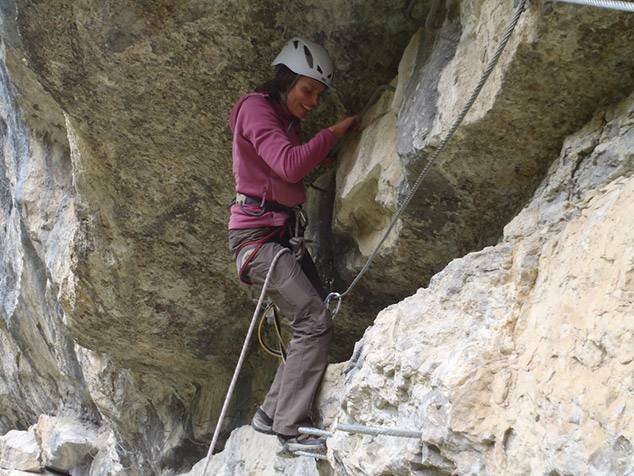 All in all, this site makes for an exceptional day of activities! 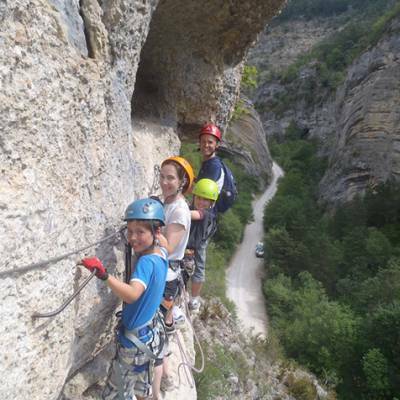 There are via ferratas situated in spectacular gorges in the Southern French Alps which are great for hot days when the cooling effect of the river is very welcome! 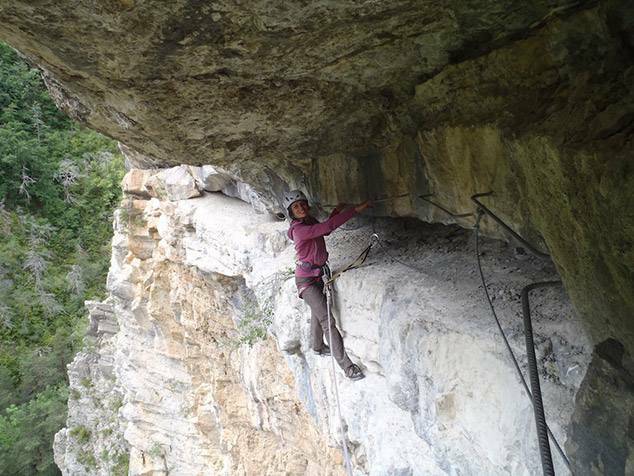 Challenging yourself horizontally and vertically. 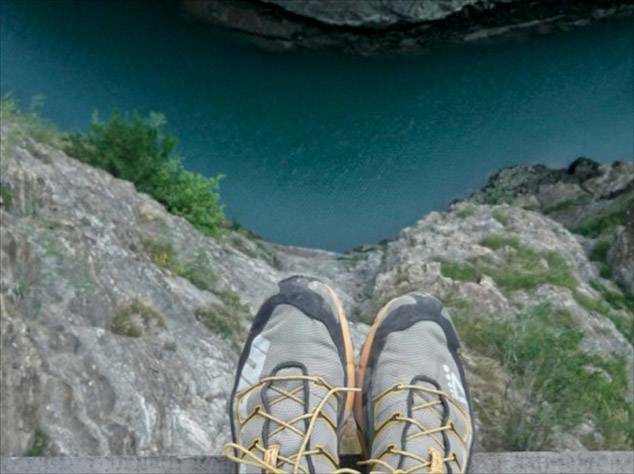 Only for people with a head for heights! 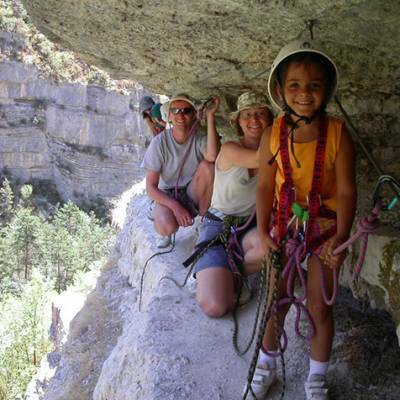 Different via ferratas have different age restrictions based on their grading. 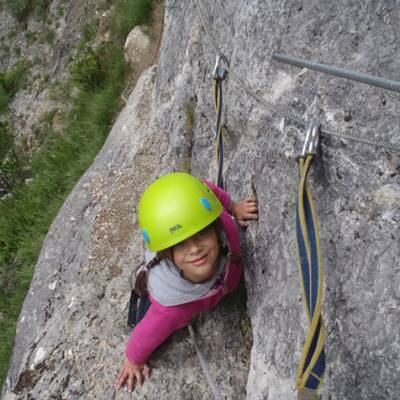 Most are from age 9 or 10 but there are also 'kiddie' via ferratas from age 7. 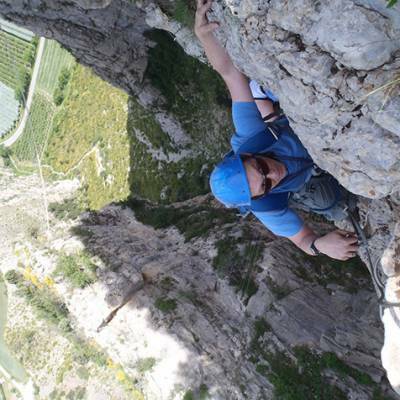 Via ferratas are graded by difficulty from easy to very difficult. 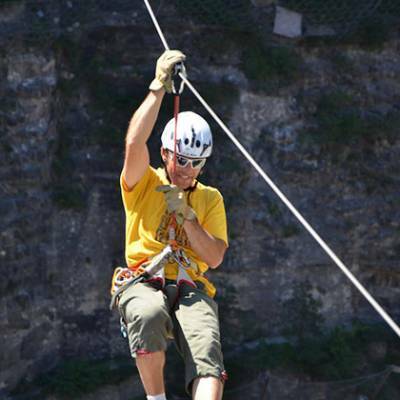 No previous experience is needed but a head for heights is a must!